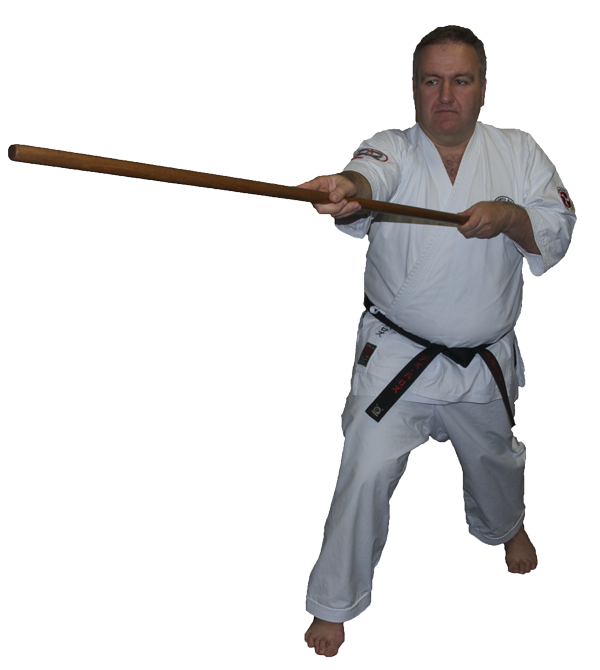 Shihan Des Paroz is the head instructor of the Kengokan Dojo of Shorinjiryu Koshinkai Karatedo. Shihan Paroz holds the rank of 6th Dan and the title of Shihan. He commenced training in Shorinjiryu Karate in 1983, and spent 2 years in Japan in the early 1990’s as a student of So-Shihan Masayuki Kukan Hisataka, Hanshi 9th Dan, at the So-Hombu Dojo of Shorinjiryu Kenkokan Karatedo. In 1993 he assisted So-Shihan Hisataka in a seminar tour of Europe, and was graded to 3rd Dan at the end of that time. In 2005 and 2006, Shihan Paroz trained at the dojo of Hanshi Shunji Watanabe of Shorinjiryu Kenyukai Watanabe Ha Karate, a direct successor to the founder of Shorinjiryu Kenkokan, Shinan Kori Hisataka. From 2007-2011, Australian Shorinjiryu Karatedo was part of the Shorinjiryu Kenyukai Watanabe Ha World Federation. In 2011, along with Kyoshi Jim Griffin, Shihan Max Estens, Shihan Lesley Griffin and Tasshi Tony Fletcher, Shihan Paroz was a co-founder of Shorinjiryu Koshinkai Karatedo, a unique school of Shorinjiryu that teaches the old and new methods of Shorinjiryu, by way way of the founder’s two main students, along with other training methods adopted by the school. Proud member of the International Ryukyu Karate Research Society. Host & Producer of The Applied Karate Show podcast.